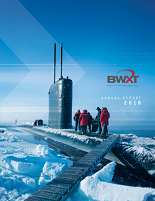 BWX Technologies, Inc. manufactures and supplies nuclear components and fuel. The company manages nuclear and national security operations. Its facilities offer heavy components, as well as nuclear components for Department of Energy programs.